David and I had wanted to go on a California road trip for a while, so we were both very excited about this adventure! There were so many places in California that we wanted to visit during our trip, but we didn't want to be rushed, so we decided to do a round trip from San Francisco, down the Pacific Coast Highway to Monterey and San Simeon, then across to Kings Canyon National Park, Yosemite National Park, and Lake Tahoe. Our final stop was intended to be Calistoga, in the Napa County, however, we had to rapidly change our plans while we were out there due to the devastating wildfires. As an alternative, we decided to extend our stay at beautiful Lake Tahoe, which worked out really well because it gave us extra time to relax and explore the area. We were very fortunate that we were relatively unaffected by the wildfires. I would love to visit the Napa Valley one day and really hope that the area recovers soon following this terrible tragedy. We stayed at various places during our trip, and I checked out numerous Tripadvisor reviews beforehand. We set out each day to explore a new city, National Park, nature trail, or a fun attraction to visit. 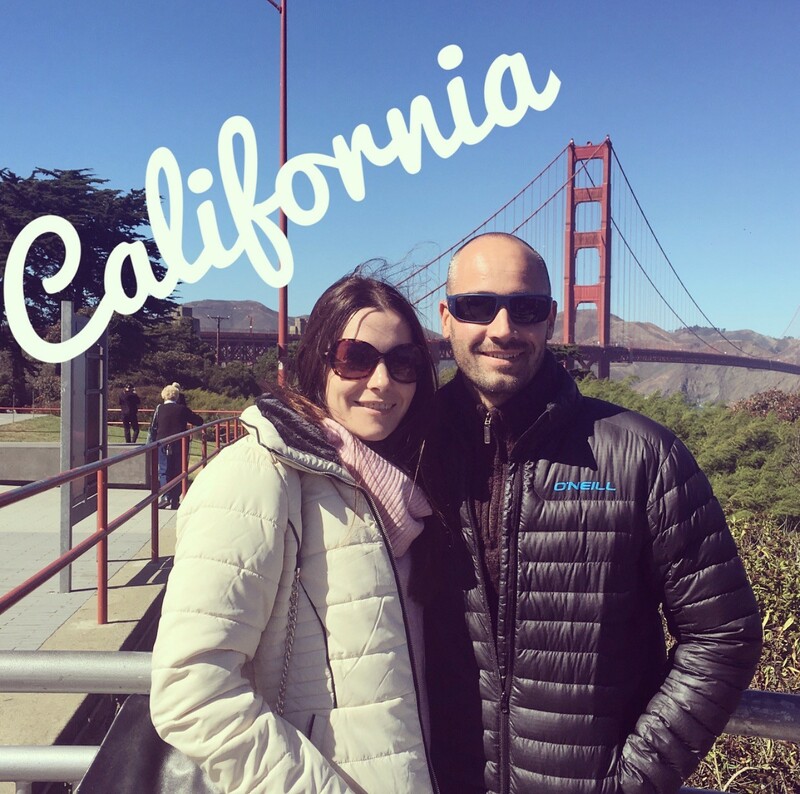 California truly is an awesome place, and our road trip really made us feel like we were living the American Dream! 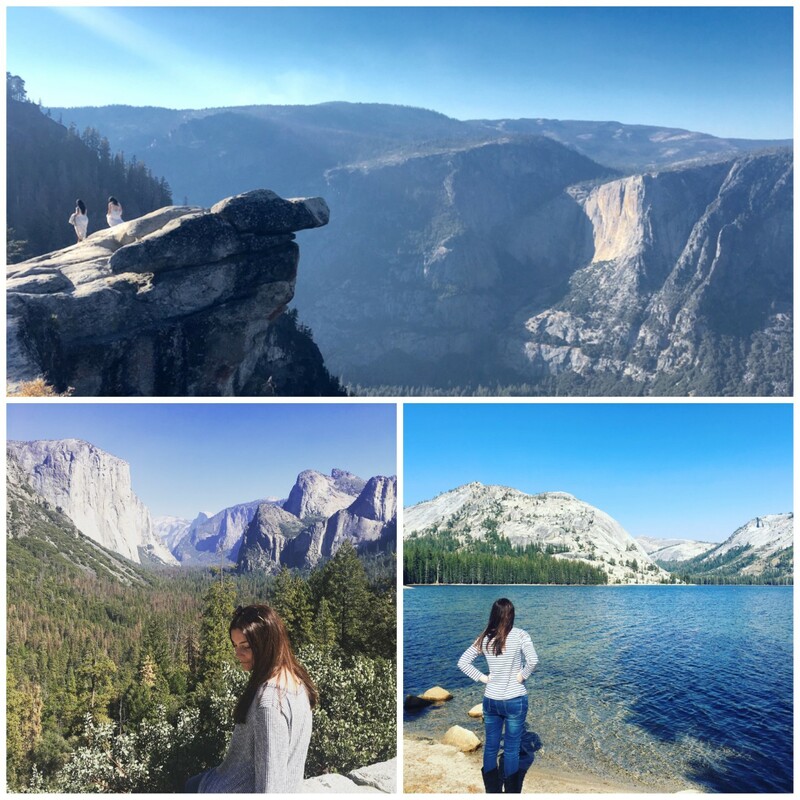 I'm excited to finally share the travel diary with all of you, including my suggestions on what to see, where to go, and some general tips for traveling in the US. We loved it so much we are planning a trip back (hopefully in the near future!). We kicked off the trip by staying in Oakland, just outside San Francisco. This worked out much cheaper than staying in San Francisco, and we enjoyed taking the ferry into the city each day. The ferry took 45 min, and David and I agreed that this was one of our favourite parts of the trip. It was so exciting as we approached the famous sights of the Golden Gate Bridge, Alcatraz, and took in the San Francisco Bay skyline. Day 1 involved a visit to Pier 39 to check out the various attractions, including the sea lions! 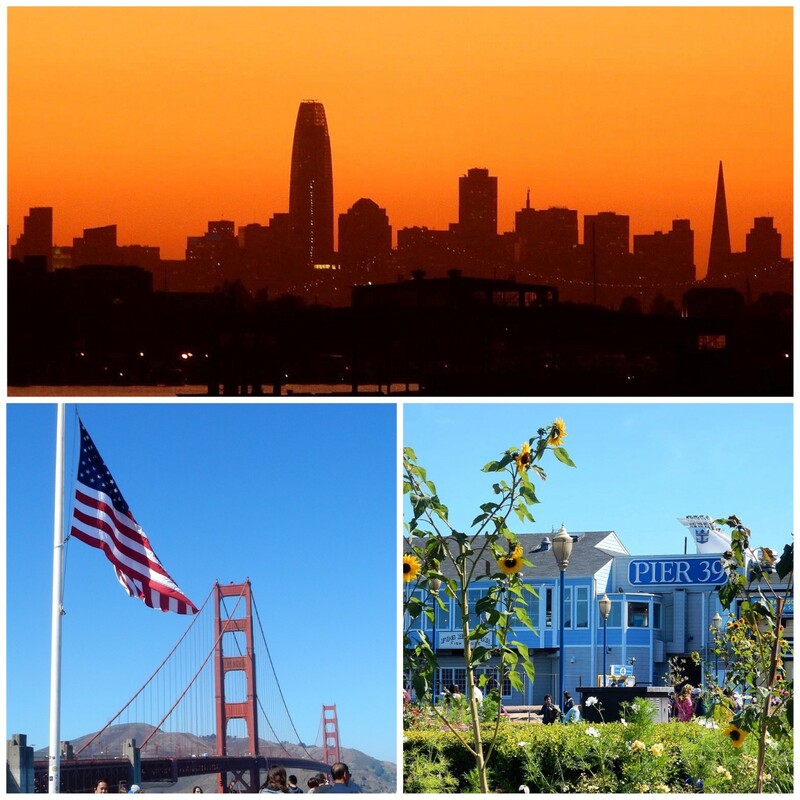 We also took a stroll around Fisherman's Wharf and went on an open-top bus tour. Day 2 started off with a trip to Alcatraz, which was quite an experience. Make sure you book your tickets well in advance online because they sell out quickly, particularly on weekends. The audio tour around Alcatraz provided a fascinating insight into life behind bars, and it was really interesting to learn more about the history of the island. In the afternoon we took a ride on one of the infamous cable cars. We went "woooo!" as we went downhill on the cable car (well I did, anyway!). It was an action packed couple of days, and we were glad for a more relaxed pace away from the crowds after this. Monterey was soooo pretty, relaxing and quaint, and was the perfect place to stop off at after the hustle and bustle of San Fran. We enjoyed lots of coffee in a local coffee shop (we always seem to drink lots more whenever we visit the US!) and visited Monterey Bay Aquarium. 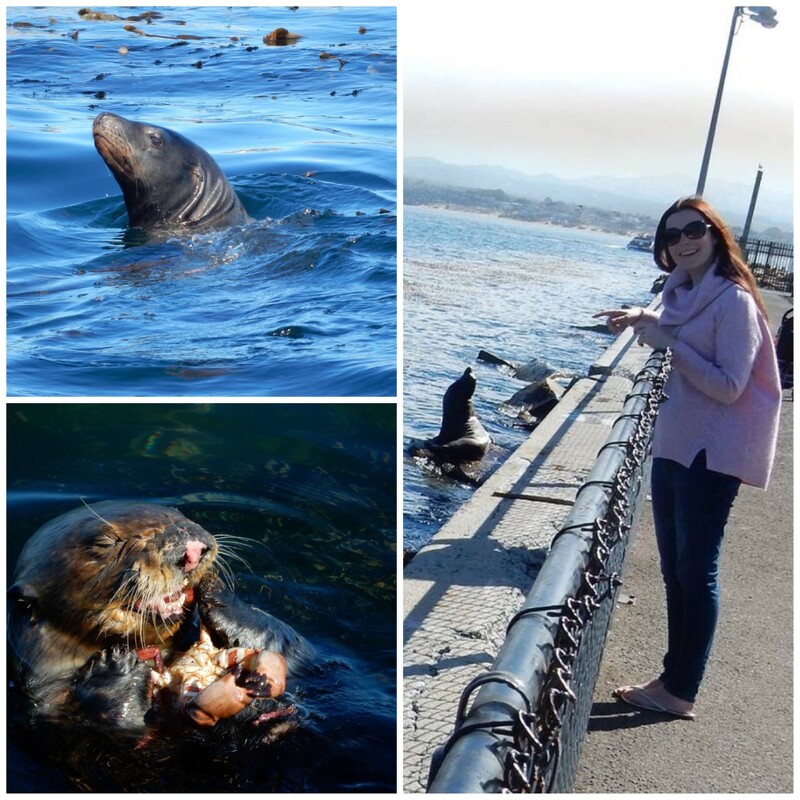 We took a stroll along the pier, and to our amazement we saw some super cute sea otters and more sea lions! Monterey is a small, picturesque coastal town with lots of lovely shops and restaurants. 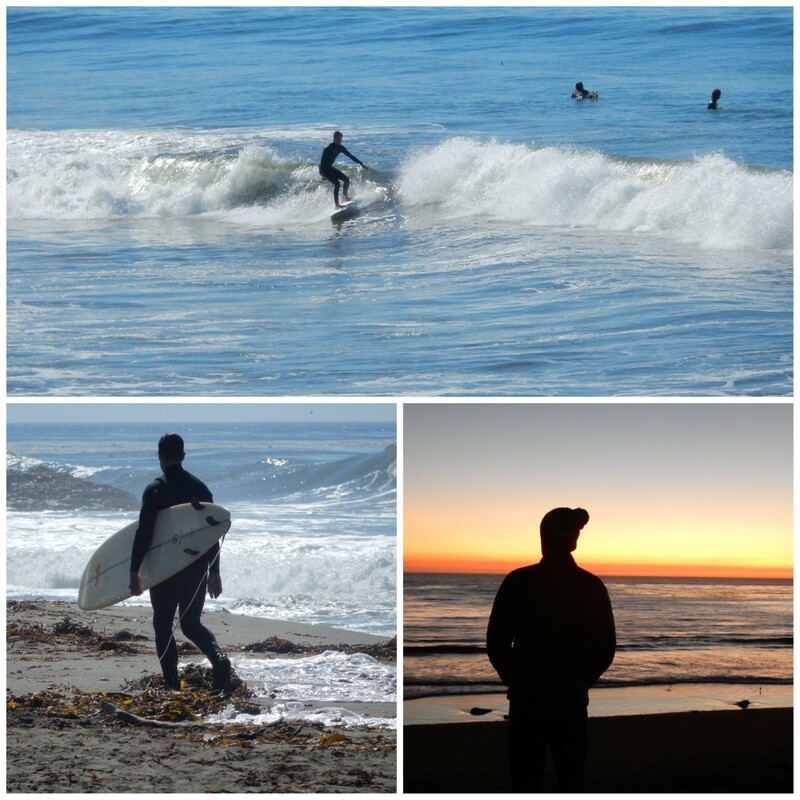 We would have liked to have stayed a bit longer in Monterey because it was so enjoyable. Highly recommended! The scenic drive into Kings Canyon National Park was really beautiful, and we enjoyed seeing the towering sequoia trees. Our favourite spot here was Zumwalt Meadow along the Kings River, and it was also lovely watching the sun go down over the valley as we drove back. The mountains were covered in a misty haze, making it totally dreamy and gorgeous. 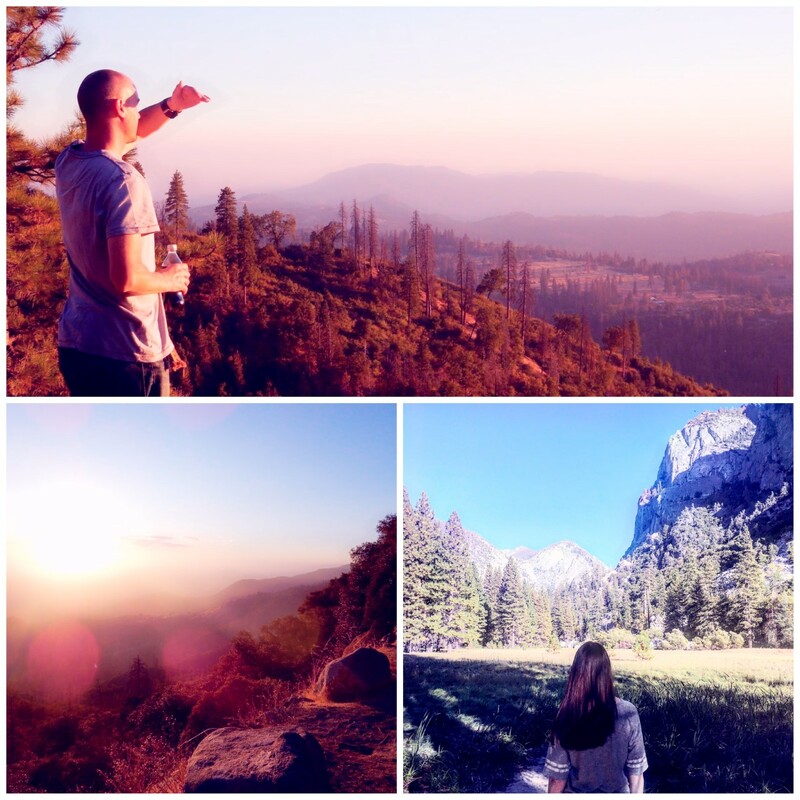 Yosemite National Park is the most beautiful place I have ever visited. There...I've said it! It was breathtakingly beautiful and the views were absolutely stunning. We visited Glacier Point (my favourite bit! ), Tunnel View Point, Bridal Veil Falls, and looked up in awe of the mighty granite face of El Capitan. The following day we went to Hetch Hetchy dam, followed by an awesome 4 hour drive along Tiogan Pass to Lake Tahoe. We stopped the car a couple of times to take in the fabulous views of lakes, mountains, and meadows. Just amazing! 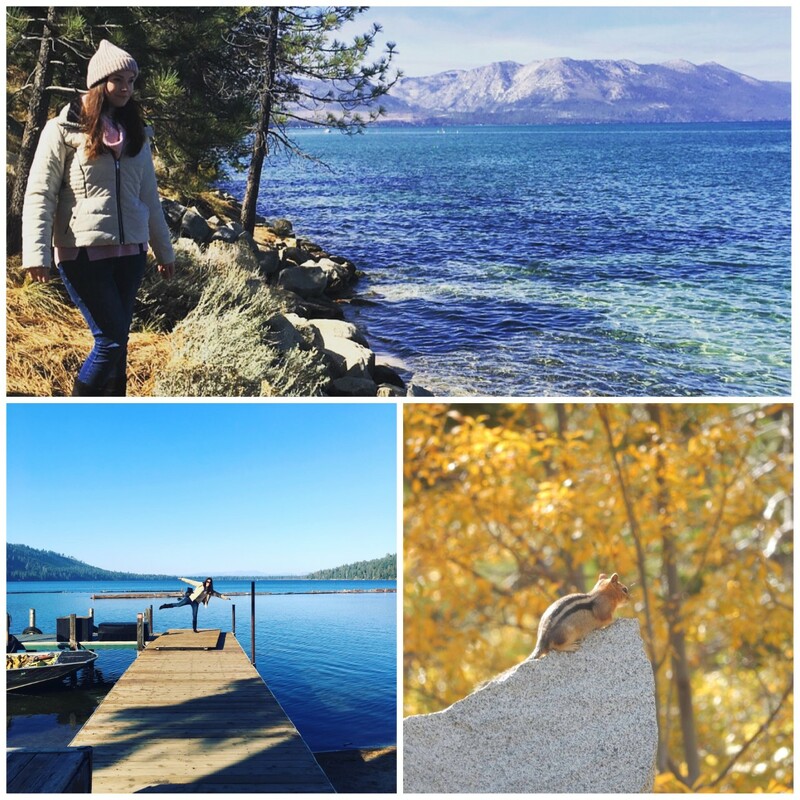 I've got a thing about holiday destinations with lakes, and Lake Tahoe was no exception. I think it's the tranquility of being so close to the crystal clear waters, and the beautiful backdrop of the mountains in the distance that makes Lake Tahoe so special. We went on a champagne cruise at sunset and it was really lovely to see the sky change to various gorgeous shades of pink and violet as the sun went down. We also enjoyed going on a couple of nature trails to Eagle Falls and Fallen Leaf Lake. While we were there we even saw a coyote, which was actually quite scary because no one else was around and it looked like a cross between a wolf and a husky. We were glad that it seemed happy to mind its own business! Driving in the US was for the most part very easy. Everyone is friendly and ready to help, and navigating with our TomTom GPS is pretty reliable. We tried to avoid driving at night because we generally found the road lighting to be poor. If you're not used to driving on the other side of the road, or driving an automatic, then it adds another element of difficulty. Needless to say, I didn't drive the entire time (thank you David, for your excellent driving skills!). We both decided that we didn't want to pack in too much driving as this can be exhausting, so our journeys between various places generally took no more than 2.5 hours. Our longest journey was between Lake Tahoe and Oakland, which took just over 4 hours with stops included. We had such a great time and we're already looking forward to our next American adventure!